As A Photographer, Do You Stick To Your Profit Pricing Model? New photographers are usually absolutely terrible at setting pricing for their services. Part of that comes from lack of confidence in their photography and part of that comes from simply thinking that being the low price leader will get them lots of business. Neither of these will help create a sustainable full time business that will still be around in 5 years. I remember a veteran photographer telling me that he could not go out for less than $2,500 per day. The reason is that he had done the math and determined for his business that $2,500 for the day was his minimum rate. At the time (not now), my personal day rate was a lot lower and I thought that seemed high. To you, that may seem like a high day rate. You may think that 8 hours x $100 an hour or $800 for a day is great money for your photography business or maybe that even seems high. But have you done the math? FYI, profit is not a bad word. 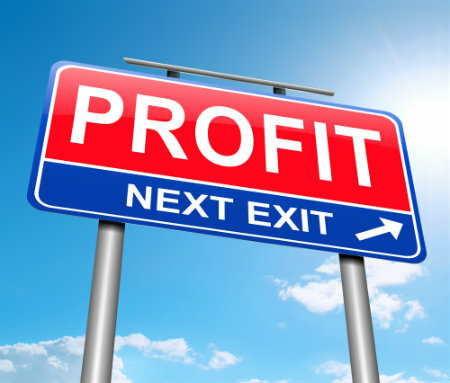 Profit is a key factor to what keeps a business in business. Do You Stick To Your Profit Pricing Model? You first must have a profit pricing model. I'm using "profit" intentionally because as you set your pricing, you have to keep profit in mine. For me, I have an actual studio outside my home in a business district with business class internet and a landline all of which adds to my monthly expenses. Therefore, I cannot be as low priced as the photographer working out of his spare bedroom. I'm also not going to compete with a $50 headshot at JcPenney that is 3 miles from my studio. So before you can stick with your pricing, you have to set your pricing based on making a profit. Your Pricing Is Set - Now, Do You Stick To Your Profit Pricing Model? Are you willing to potentially lose business because someone finds a lower priced photographer? Let me share a recent story to give you a drastic real world example. The potential client told me that another photographer quoted $1,000 for his project and I said that I couldn't do it for less than $2,000. Yes, I was TWICE as much as the other photographer which is kind of a scary place to be. Guess what? At this stage, I can no longer sell on price and I have to sell on VALUE. So I broke it all down, pulled out all the stops, didn't budge from my $2,000 and got the project. Will that happen every time? NO! However, as a photographer that has my pricing model in order, I cannot afford to take on a project for $1,000 that is worth every bit of $2,000. FYI, I want to stay in business.